The Resorts Companies, Inc. announced that it is now a 100% employee-owned company. The final shares of the company, previously owned by company founders Dice Hammer and the heirs of Jim Lambert, have now been purchased by the company’s Employee Stock Ownership Program (ESOP) trust. The Resorts Companies owns and operates Great Eastern Resort Corporation, the developer of Massanutten Resort, a four season resort located outside of Harrisonburg, VA, and Recreational Resorts, Ltd., the developer of Wilderness Presidential Resort located in Spotsylvania, VA.
Steve Krohn, Executive Vice President and Chief Operating Officer, noted, “This is a momentous event for our company and our communities, and everyone should be proud of the accomplishment. The company founders created our ESOP in 1993. That the complete buyout took over 20 years to come to fruition is a testament to their long-term vision. This transition is also a credit to all the hard work and success of our employees.” Because the ESOP program has been in place many years, taking this final step, while significant to employees, will not result in any noticeable change in the resorts. “Our focus continues to be on guest satisfaction and our company’s long term success. Mr. Hammer remains President, and he and Jimmy Lambert, son of Jim Lambert, continue to serve actively on our board of directors,” said Krohn. The Resorts Companies relies upon over 1,800 employees to operate 365 days a year. Including retirees and former employees, over 3,000 people currently participate in the ESOP program. For more information, please visit www.massresort.com and www.wpresort.com. The Resorts Companies, Inc. has owned Massanutten since 1984 and Wilderness Presidential since 1981. 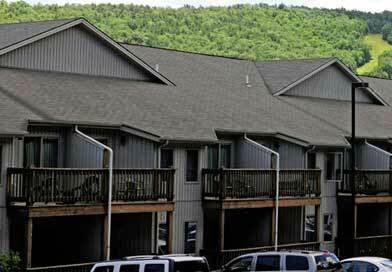 The two resorts encompass over 7,000 acres; 2,500 time share unit keys; 1,800 campsites; and 240 hotel rooms. The resorts feature a snow sports area, one of the largest indoor/outdoor Waterparks on the East Coast, two golf courses, a spa, multiple zip line/ropes courses, fishing lakes, recreational centers, and many other activities. The resorts maintain Gold and Silver Crown RCI® ratings and participate in RCI’s “points” and “weeks” exchange programs. The two resorts host an estimated 1.4 million visitors annually.